Score a coupon for 20% off your next car seat or stroller. Hold on to your car seats, Target shoppers. Now that Toys"R"Us has sadly closed their stores, their "Great Trade-In" event for car seats, strollers, and other baby gear appears to be gone for good. But don't worry: Target has you covered. The retailer is emerging as the new leader for trade-in discounts with an upcoming car seat trade-in event -- and we're giving you a rundown of what to expect. What Is Target's Car Seat Trade-In Program? Target first introduced its car seat trade-in program in April 2016. Since then, more than 306,000 car seats have been recycled (which adds up to over 4.6 million pounds of recycled materials). From Sunday, Sept. 9 through Saturday, Sept. 22, the retailer will once again host this popular event at participating locations nationwide (excluding small-format stores) in honor of Baby Safety Month. Just bring in any type of car seat you want to recycle. Infant seats, convertible seats, car seat bases, harness or booster car seats, or even car seats that are expired or damaged are acceptable. 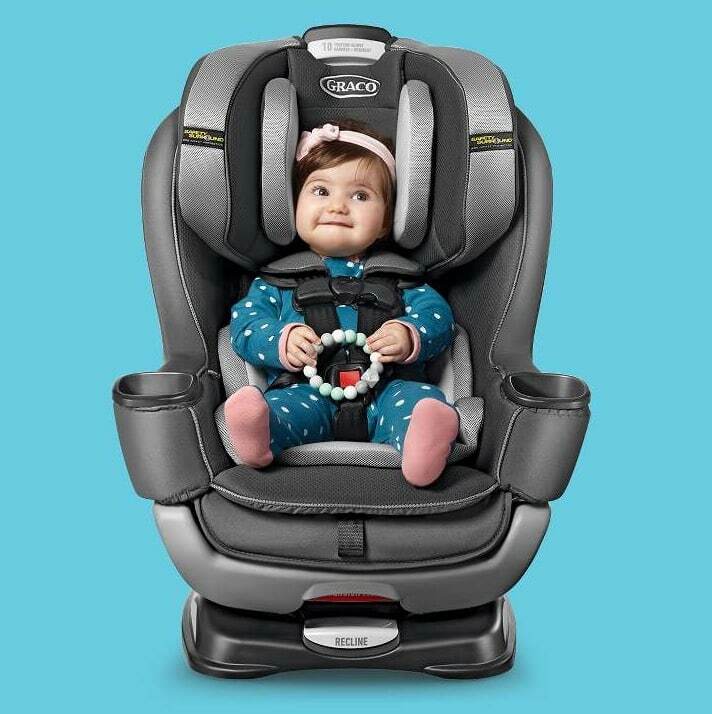 In exchange, you'll receive a 20% off coupon that can be used toward a new car seat, booster seat, car seat base, travel system, or stroller. As an added bonus, select baby home gear like playpens, high chairs, swings, rockers, and bouncers are included in the coupon for the very first time! This event is a great way for parents to save money if they're replacing an expired car seat, upgrading an infant car seat to a convertible seat, or switching from a convertible seat to a booster. Special thanks to Slickdealer allthingsvu for posting this deal on our forums! Interested in participating? Just stop by the Guest Service counter of your local Target. There, you'll find a drop-off area where you can trade in any unwanted car seat for a 20% off coupon. You can apply this coupon to in-store and online purchases, and it's valid through Oct. 6, 2018. There's no limit to how many car seats you can trade in for these coupons. However, the store will only allow you to redeem one coupon per transaction. Slickdealer TomBI assures us that the trade-in process is simple. "I had no problems last year when they ran this promotion. They had a big bin right by their customer service counter. I didn't even have to ask for the coupon. They immediately handed me one." According to Consumer Reports, car seats typically expire about six years from the date of manufacture, but be sure to check the owner's manual or label to find your seat's exact expiration date. Not convinced? Slickdealer DTphonehome broke it down like this: "The primary structural component of a car seat is plastic. It can and does degrade over time. Imagine what a car seat is exposed to in its time sitting in a car. All of these things degrade plastic. The seat may look totally fine, but when it's stressed in an accident, it can literally disintegrate." Once you have your coupon in hand, there are a few slick ways you can put it to good use. For example, Slickdealer luckattack says, "I was able to use the 20% coupon with the Cartwheel app that gave me an additional discount and my REDcard making my car seat purchase a very good deal... Even the cashier mentioned what a great deal I got with all the savings." Micha1 suggests setting up a Target baby registry to further enhance your savings. "Can the 20% discount be used in addition to the 15% baby registry discount? Yes! My daughter called and they said she can." Slickdealer yeslek312 seconds this strategy. "I can confirm that these do stack, at least online." Speaking of Target's REDcard, it entitles you to 5% off most items storewide and earns you free two-day shipping on online orders. Even better, cardholders enjoy extended return periods for added peace of mind. 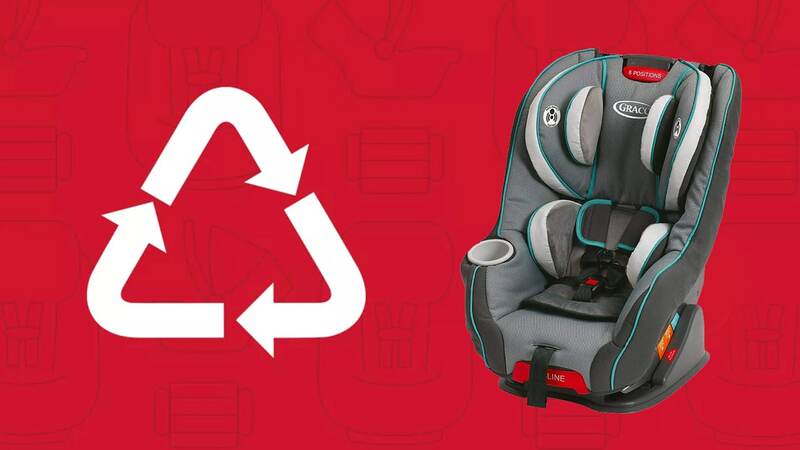 Have you participated in Target's car seat trade-in program before, or do you plan on trading in an unwanted car seat during this next event? Share your feedback in the comments section below, and be sure to check out "7 Tips for Shopping at Target" and "Target Coupon Tips: How to Stack Your In-Store Savings" for more ways to save!